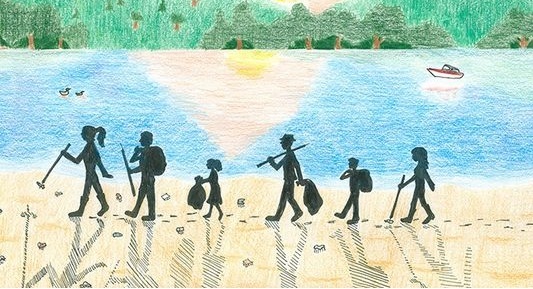 Since 1989, this award-winning cleanup for the Ohio River and its tributaries brings thousands of volunteers to the riverbanks to remove tons of trash and debris. River Sweep encompasses the entire length of the river, from its origin in Pittsburgh, PA to its end in Cairo, IL, including nearly 3,000 miles of shoreline and many tributaries. The Ohio River Sweep is an event organized by the Ohio River Valley Water Sanitation Commission, an interstate water pollution agency for the Ohio River Valley, along with environmental protection and natural resource agencies from Illinois, Indiana, Ohio, Kentucky, West Virginia, and Pennsylvania. Volunteers are needed to clean up the river bank of the Ohio River by removing trash and debris. Other areas in Massac County included in this project are riverfronts in Brookport and Joppa. Wear clothes that can get dirty and closed toe shoes. Trash bags are provided and each volunteer will receive a free T-shirt. An on-site coordinator will be present. This entry was posted in All the Buzz - Bee Informed and tagged Fort Massac, Ohio River on June 11, 2018 by massacbeeswax. Sat. 10:00 a.m. – 6:00 p.m.
Sun. 9:00 am. – 5:00 p.m. The people and activities of the Encampment give a general picture of the area from roughly 1750 to the early 1800s. Included are colorful sights, tantalizing smells, fabulous tastes and stirring music. 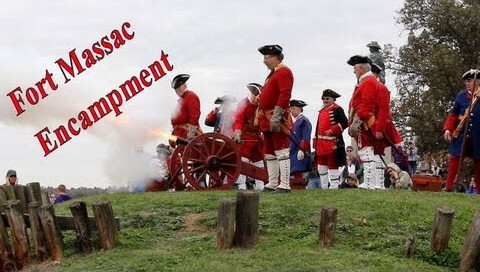 Historical re-enactors and skilled craftspeople gather at the Encampment to demonstrate the skills and lifestyles of early residents in this area. Participants in the Encampment include French, British, Colonial, Spanish and other military units; buck skinners and traders who dealt in the exploration and fur trade of the early territory; Native Americans; music groups; crafters and food vendors; and others. Re-enactor groups represent different time periods and areas in early Illinois history, and all groups that camp stay in tents or teepees that are historically accurate for the time period and people represented by that group. Enjoy period foods such as candy, caramel corn, root beer, turkey legs, and so much more in the food court area. Battle re-enactments will again be held in the valley area where authentically garbed troops face off in the Battle of Drouillard Creek. Parking and shuttle service will be offered in the open field area next to the park’s Trout Pond on 5th Street across from Sonic. For more information, call Fort Massac State Park at 618-524-4712 or visit the Metropolis Tourism website or Facebook page. This entry was posted in All the Buzz - Bee Informed and tagged Encampment, Fort Massac, History on October 7, 2017 by massacbeeswax. First Christian Church, Metropolis invites you to Sunday Morning Worship Service at Fort Massac Park. across from Sonic Drive-In. Come early for a time to fellowship and stay for worship with a special performance by the a cappella group, Blend. Blend is able to entertain crowds of all ages with their energy, humor, renditions of songs which most everyone has heard at some time. In addition to their classic doo-wop routine, they love to share their gospel music as well. After this performance, they will be retiring and will no longer be performing as a group. We want to have a big turnout for their final singing appearance. Please bring lawn chairs or blanket for seating. Potluck luncheon will follow service. Please bring your favorite covered dish for everyone to enjoy. A love offering will be collected. For information, contact the church at 618-524-7118 or Rhonda at 618-638-2512. This entry was posted in All the Buzz - Bee Informed and tagged Blend, First Christian Church, Fort Massac, music on September 11, 2017 by massacbeeswax. This entry was posted in All the Buzz - Bee Informed and tagged Fort Massac, Ohio River on June 13, 2017 by massacbeeswax.